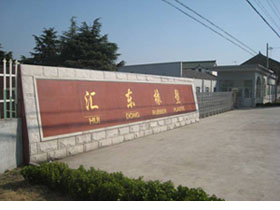 Changzhou Huidong Rubber and Plastic Products Co., Ltd. Founded in 1994 by engineer of former Missile Material and Process Research Institute of Ministry of Space Industry of PRC �C Mr. Rong Zhonghui, Changzhou Huidong Rubber and Plastic Co., Ltd is a manufacturer focusing on rubber-and-plastic based materials and parts for vibration damping, sound absorbing, heat isolation, sealing and shock protection. Located in Changzhou, Jiangsu Province and benefitting from sophisticated infrastructure and well developed manufacture industry, the company has experienced remarkable success and now owns 2 plants of 17,000m2 in total and 120+ employees. Major products of Huidong includes thermal expansion rubber, IIR, asphalt based damping sheets, PE, XPE, PU and PVC, etc., which are widely applied in auto, rail, appliance, electronic instruments and construction. Owning advanced technology, excellent facility and dedicated professionals, Huidong is certificated in ISO 9001: 2000, QS-9000: 1998 and ISO/TS 16949: 2002. Embracing the philosophy of “Support your innovation and business”, Huidong has been dedicated to serve both local small-and-middle-sized enterprises and Fortune 500 giants through our continuous innovation, exceptional products and professional service and is committed to be a responsive and dependable partner of our customers as a supplier. Copyright 2009 Changzhou Huidong Rubber and Plastic Products Co., Ltd.